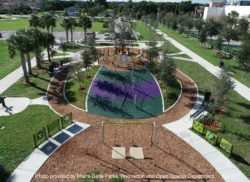 Contractor : Quality Construction Performance, Inc.
A barren open field once known as “Palm Glades Park” was transformed by the county’s Parks and Recreation Department to give nearby residents a mini-park and their children a landscaped playground area. 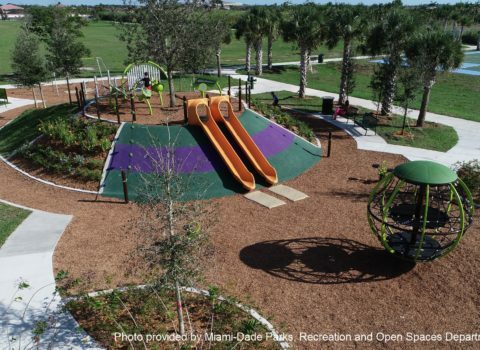 Debbie Curtin Park features something for all ages and abilities! 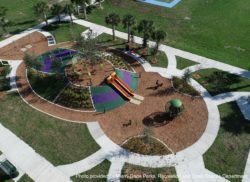 For children, 12 years and younger, a Landscape Structures playground was installed with oval play mound, double slides, a climbing net and ropes, and Rhapsody outdoor musical play instruments. 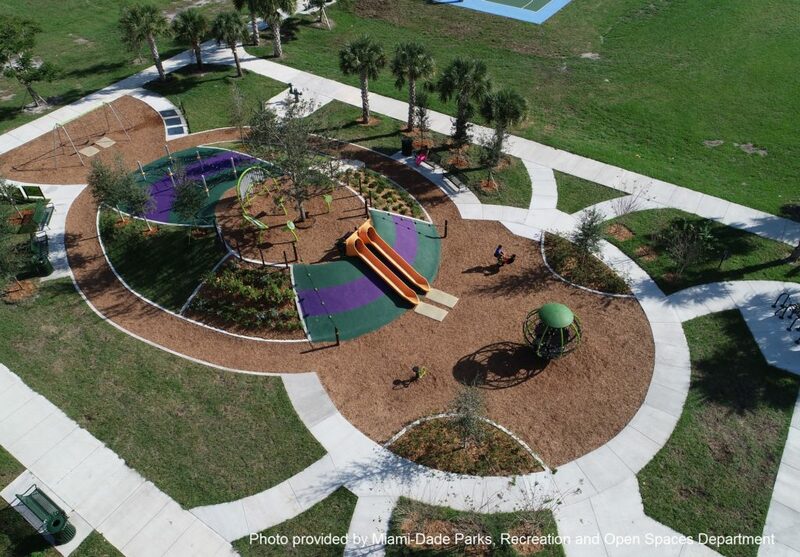 The park also provides DuMor benches, trash receptacles and bike racks. 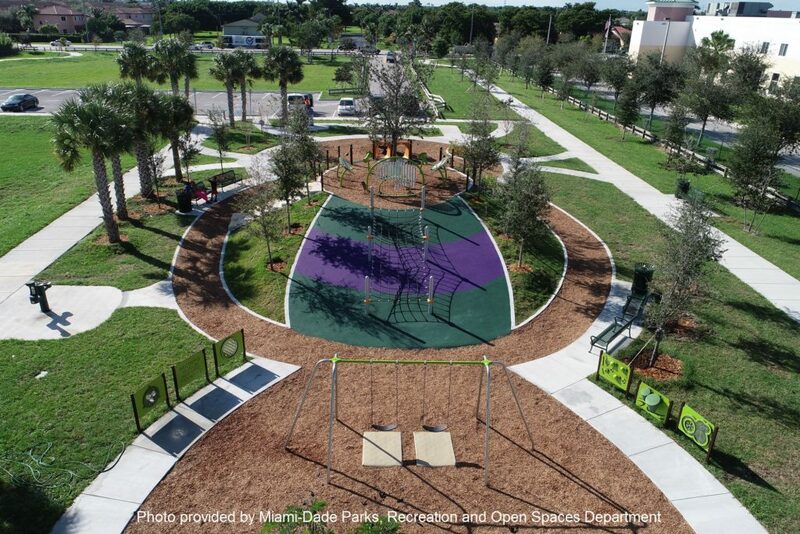 The former Palm Glades Park was renamed and opened in 2012 to honor the late Team Metro director who served in several leadership positions during a 25-plus year career with the county. As a founding director for Team Metro, she helped establish eight offices throughout the county to provide direct services and assistance programs, including establishment of the Citizens Academy focused on bringing government and services closer to the people. “Debbie Curtin devoted her life to public service and making our community a better place to live,” said Miami-Dade Mayor Carlos Gimenez. 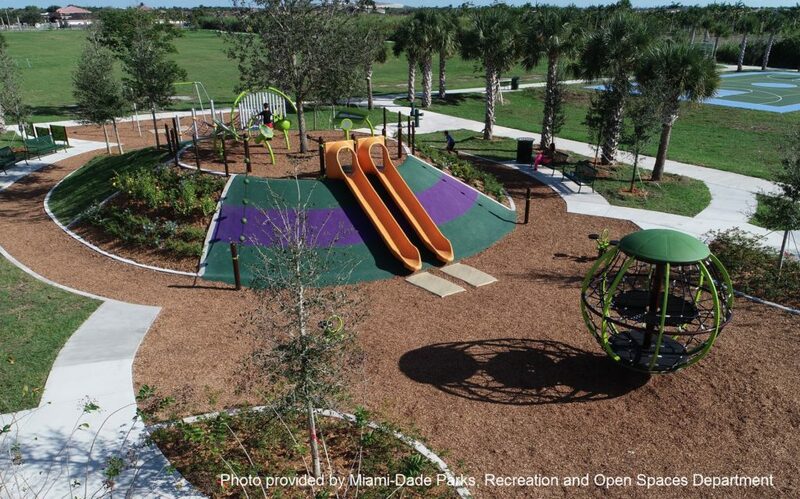 **Photos provided by Miami-Dade Parks, Recreation and Open Spaces Department.